I sew. A lot. Mostly I sew for customers, which I love. Sometimes my head is swirling with new ideas, solutions to problems and – oh yeah – real life problems, too! This week, between the time change, a bad storm and sorting out ideas in my head, I felt foggy and unfocused. So I decided to ignore the “to do” list and focus on a fun little project I had brewing. This lovely Gap shirt belongs to my husband. It was given to him by our neighbor as a hand-me-down. (We aren’t proud.) It looked really nice on my husband and washed up well. But he wore it hard and it finally gave way at the elbow. He asked me to repair it. 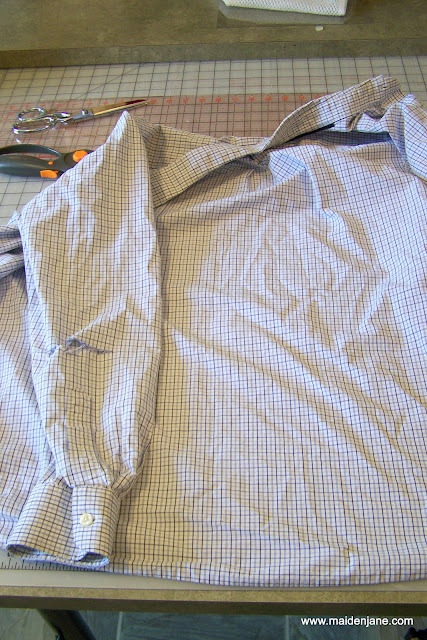 I often do that by applying some interfacing and/or fabric to the back and then stitching over the tear. 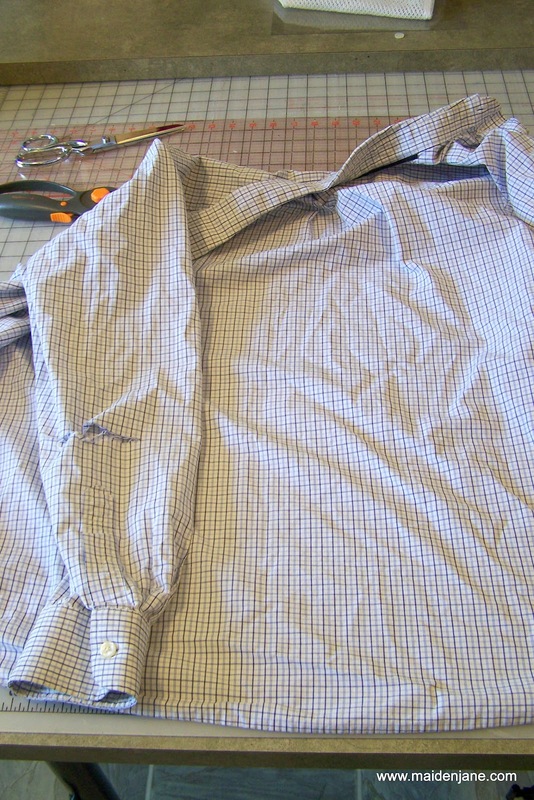 This time I decided that my husband needs to dress for success and give this one up for the adorable fabric. When I was growing up we always got new outfits at Easter. When my kids were little I did the same – often making their outfits. That has fallen off in recent years due to styles and a pragmatic approach to the number of dress clothes needed in the house. For my youngest son, we went up in the attic and found his older brother’s yellow vest with a blue stripe in it. 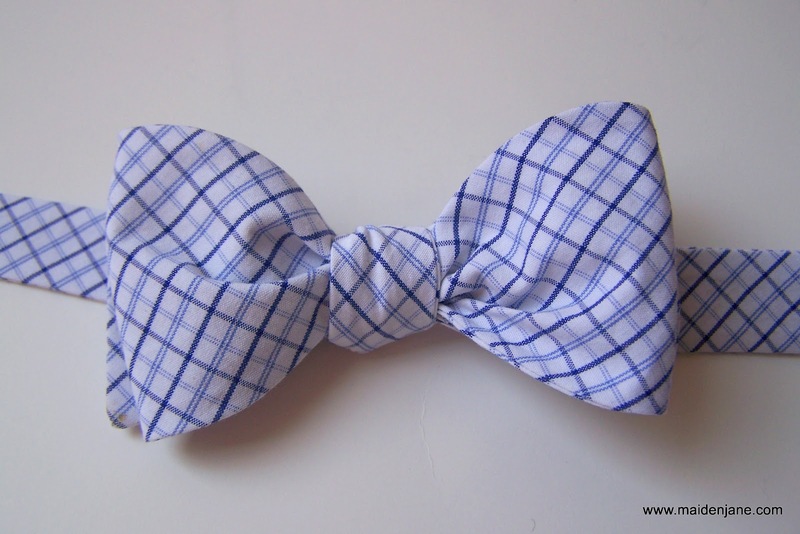 I asked if he would wear a bow tie and, to my delight, he said yes! I had pinned this pattern which I really liked. 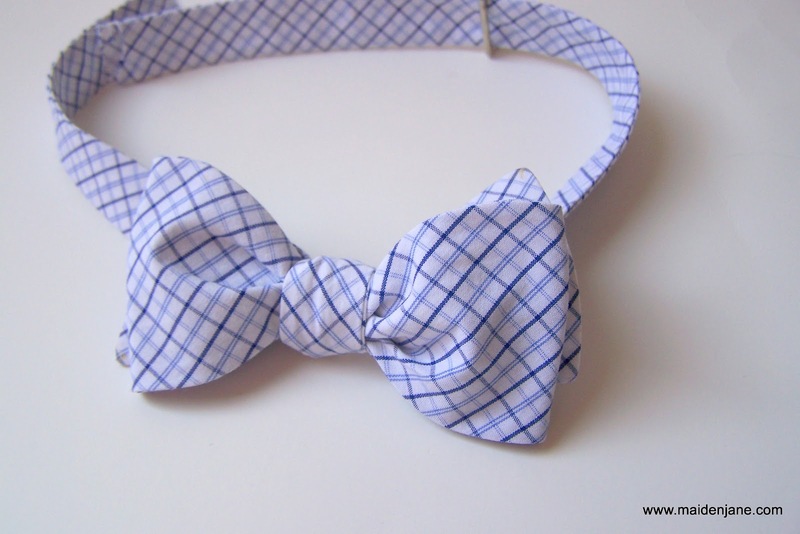 It is a real bow tie so you create it according to neck size. I was concerned about downsizing it for my son, and my brain was already foggy. 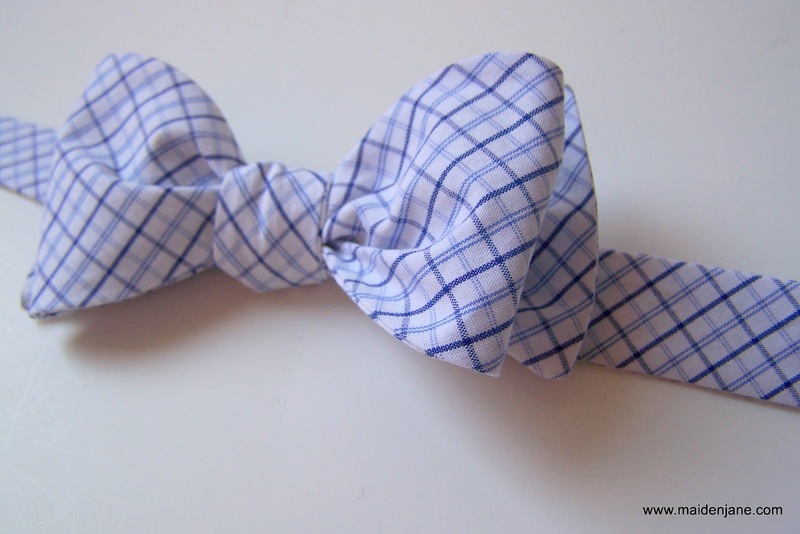 I printed both patterns because I liked that the bow on the first pattern was pared down just a bit. I don’t want to overpower my son, who is 12. So I simply overlayed the patterns and cut them on the bias. It was a challenge inverting them. Burda said they have a trick to aid in that process, but I couldn’t find it and was too impatient to look elsewhere. I still have to buy another slider, but I was excited with the result. Not only is it special because it will dress my son up for Easter, but because it’s made out of one of his dad’s shirts. I have to learn how to tie it a bit better. And I’ll take some photos with my son in it. 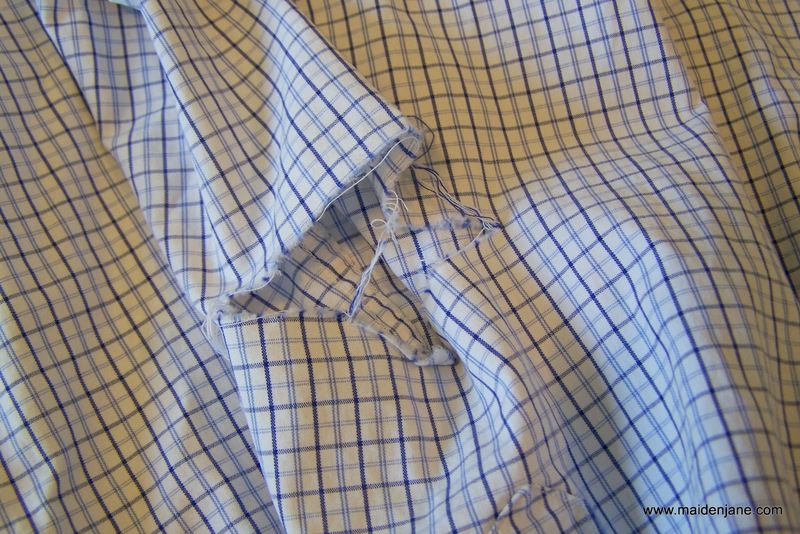 But some diversionary sewing was just what the Twitter doctors ordered. It freed my mind up from fretful thinking, allowing solutions to come in to some of those pesky little problems. 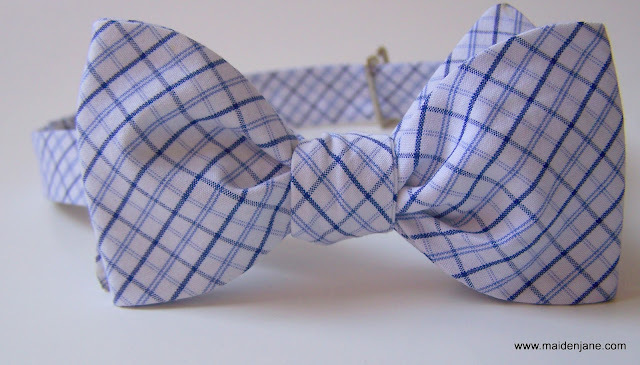 And, besides, bow ties and little boys just make me happy! I was just saying yesterday that I have been fretting and stressed to much to create this week. I cannot seem to focus- to loose myself in my work. 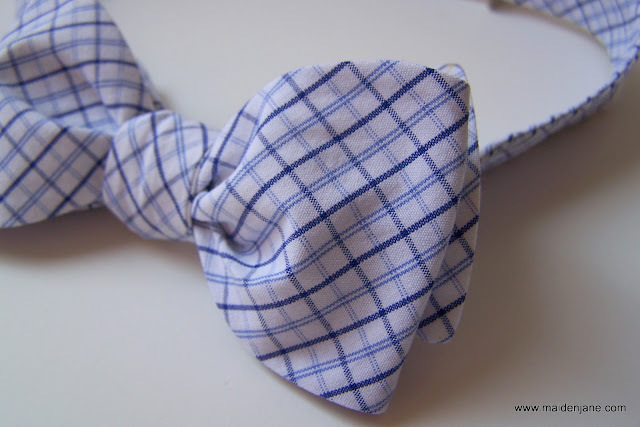 Darling bow tie. I will have to make one for Aedyn. I love that it is made out of his dad’s shirt. I have saved all my husband’s old and torn shirts just “because”…there had to be something we could do with them…now I know what! But, I must confess, when I first saw the photo of the bow, I thought it was a head band…(I have three girls) …and then I figured it out once I kept reading. But it would make awfully cute headbads with bows, and that is what I am going to have to do with all the shirts i have saved! You are always so creative, Jane! What a fabulous idea!